I hope that you have all had an enjoyable, relaxing and safe festive season and have settled in to the new year, which I believe will see continued improvement throughout the WA economy. I love this time of year when you get to reflect on the successes and failures of the previous year and plan for a bigger and better next year. Our Development division completed two projects in 2018 – a villa project in Scarborough and a townhouse project in Manning. In terms of settlements it was a relatively quiet year which was quite deliberate due to the market conditions. We also made great progress on our 10 villa project at 121 Bank Street, East Victoria Park which we will be launching for sale next week. Priced from $469,000 we believe they will represent great value and be the most affordable, brand new 3 bedroom, 2 bathroom, double lock-up garage villas in East Victoria Park! Demolition has commenced on our townhouse joint venture with Integrity Developments in Rivervale and again we will look to take this property to the market on completion toward the end of 2019. We have also made great progress on Lucent Claremont. Having secured our development approval we officially launched the project for sale late-October and to date we have achieved 14 sales with only 3 more required to meet our pre-sale target. The Building tender has been completed and we expect construction to commence in late March / April 2019 with completion toward the end of 2020. The interest from down-sizer Owner Occupiers has been very strong with 5 of the 6 penthouses already sold. The acquisition of our North Perth site will give us plenty of planning elements to work on through 2019 to ensure we create a community orientated world-class mixed use precinct adding to the fabulous North Perth village landscape. As Development Manager for Vic Quarter, located at 650 Albany Highway we can report great progress through the construction phase with a scheduled completion date of September / October 2019. Uniquely this project has never been released for sale and the recent erection of some signage boards has generated in excess of 250 registered enquiries since November 2018. Offering a combination of one, two three bedroom and penthouse apartments we look forward to launching the project closer to completion. The Sales division has seen mixed results through 2018 very much in line with the patchy market and lack of completed project stock to sell. 2019 will be vastly different as the market sentiment improves and more stock comes online. We welcomed David Kirkbride to the team who has joined both the sales and property management division. Steve, Bo and David have all committed to particular farming areas in close proximity to the office where they all live, work and play. Full credit to Bo who has moved her family from the Perth Hills to East Victoria Park, an area she is truly passionate about and loves. When choosing a sales agent it is important to ensure your agent not only knows how to sell property, but also has a deep understanding of the community in which your home is situated. Buyers are not just buying a roof over their head, they are buying a lifestyle in which to thrive. The success of the launch of Lucent Claremont and the selling out of the townhouses at 4 Downey Drive, Manning have been standouts alongside a number of individual house sales across multiple suburbs including East Victoria Park, Victoria Park, Rivervale, Manning, Bedford, Scarborough, Wembley Downs, Mount Claremont, Doubleview, Nollamara and many others. Did you know that our sales agents have been reviewed by Buyers and Sellers on independent review site Rate My Agent, 56 times and our average across all reviews stands at 4.9 out of 5! Our Property Management division blasted through 400 managements towards the end of 2018 with the launch of The Tide Scarborough, Perth’s first co-living accommodation. Having project managed the redevelopment of the old Sunmoon Resort we were very excited to welcome The Tide’s first guests in December. Presently offering flexible 1 – 3 month leases of private studio, 1 and 2 bedroom apartments connected to very extensive communal facilities, including restaurant quality kitchen, open plan dining, social, TV and work station rooms along with swimming pool. Our first dozen tenants are reporting a really great experience and word is spreading of this unique concept. Of course the PM team has battled for a number of years with high vacancy rates and falling rents and I am so proud of the team’s efforts to do whatever it takes to find a suitable tenant for our landlords in the quickest time possible. With a substantial fall in the vacancy rate over the past 2 years we are sure to see pressure on rents in the coming months. The Strata Division welcomed 2 new team members both coming to Celsius with considerable Strata Management experience. Maria Hayes and Jennifer Morrison have settled in to their respective roles well taking time to get to know our Owners and the properties. There is so much strata reform on the way and we are sure it will be very positive for the industry, and we are excited to stay on top of all the changes to ensure we do the very best job for our Owners, as possible. Our in-house mortgage broker Donna-Lee has been run off her feet keeping up with all of the bank changes through 2018. 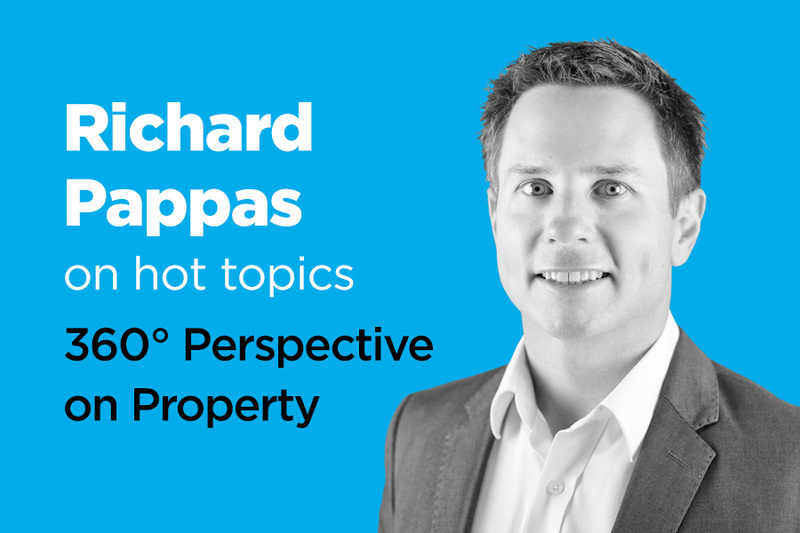 It used to be all about monitoring interest rates, fees and charges however the Royal Commission has seen substantial heat placed on banks which has led to what some might suggest as an over-reaction in credit policy making it more important than ever to talk to a Broker and ensuring you are getting the best deal. With 26 staff across the divisions I am confident that at Celsius we can assist you with whatever property and finance needs or queries you may have. Our number 1 priority is helping people by sharing our knowledge and experience and we welcome the opportunity to assist you to achieve your property and finance goals through 2019.